Susan Wise Bauer helps parents navigate the school system in a way that works best for their children. From communicating with teachers to helping gifted or struggling students, Rethinking School provides smart, up-to-date, inspiring, and compassionate guidance. Our K-12 school system is an artificial product of market forces. It isn’t a good fit for all—or even most—students. It prioritizes a single way of understanding the world over all others, pushes children into a rigid set of grades with little regard for individual maturity, and slaps “disability” labels over differences in learning style. Caught in this system, far too many young learners end up discouraged, disconnected, and unhappy. And when they struggle, school pressures parents, with overwhelming force, into “fixing” their children rather than questioning the system. 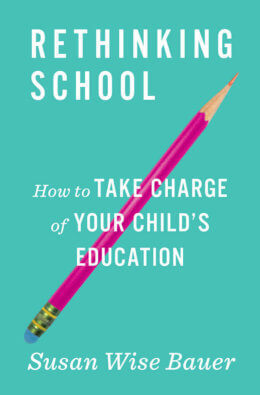 With boldness, experience, and humor, Susan Wise Bauer turns conventional wisdom on its head: When a serious problem arises at school, the fault is more likely to lie with the school, or the educational system itself, than with the child. In five illuminating sections, Susan teaches parents how to flex the K-12 system, rather than the child. 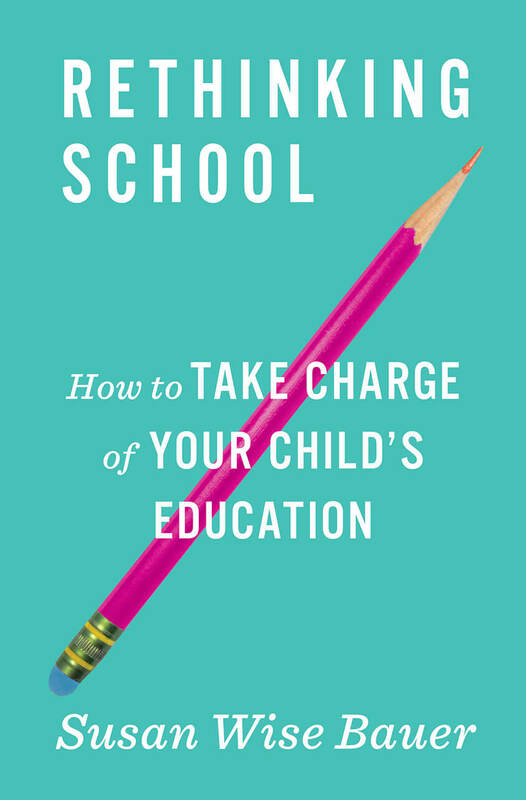 She closely analyzes the traditional school structure, gives trenchant criticisms of its weaknesses, and offers a wealth of advice for parents of children whose difficulties may stem from struggling with learning differences, maturity differences, toxic classroom environments, and even from giftedness (not as much of a “gift” as you might think!). As the author of the classic book on home-schooling, The Well-Trained Mind, Susan Wise Bauer knows how children learn and how schools work. Her advice here is comprehensive and anecdotal, including material drawn from experience with her own four children and over twenty years of educational consulting and university teaching. Rethinking School is a guide to one aspect of sane, humane parenting: Negotiating the twelve-grade school system in a way that nurtures and protects your child’s mind, emotions, and spirit. For more guidance on specific topics, check out Susan’s new articles here.